Thank you, United We Roll 2017 participants! We have so many people to thank and so much to be thankful for. After a few recovery days, we will update with some tournament highlights! Congratulations to the Southeast Sirens on their win, and to our Boomies for taking the Third place trophy! We are moving up the derby ranks! Click on the picture above to buy tickets! Click on the poster to buy tickets! Our next game has been 4 years in the making. Only once have these two teams come to a face-off, with Boom Town taking the win in overtime. Talk about a nailbiter! Read more about this amazing event in this Make a Scene article written by our Darth Jaider! Are you ready for a rematch? Prepare yourselves, sports fans, as your Boom Town Derby Dames face off at home against the Rage City Orange Crush. Both Boom Town and Orange Crush have taken turns reigning victorious over the other from season to season, but what awaits our Boomies in 2017? Happy Holidays and a wonderful New Year from your Boom Town Derby Dames! We will resume our practice season in January... and two rematches that will knock your socks off! Stay tuned, sports fans! Nov. 26th: First Home Game! Watch your favorite Boomies in this flashy mash up of "Old School vs. New School." Who better to give thanks to, but our fans and sponsors? Our girls will be rocking old school fishnets, tutus, belts and facepaint akin to the Roller Derby of old versus the new image of athleticism, uniformed teammates in the green and camo. Before the game, enjoy our Upcycled T-Shirt workshop! This is only one of our Community Events this year! Bring a t-shirt and learn how to make a No Sew Scarf with our league members. Click on the banner to buy tickets! Cheer on your favorite Boomie and come to the After Party at the Peanut Farm after the game! See you in Anchorage on November 19th as we take on the Orange Crush! Going to every home game this year at the Menard Center in Wasilla? Save money! Get your season 6 season passes now! Check out our team members! The 2016 United We Roll Tournament was a success! Thank you to our Sponsors, Alaskan leagues, and fans! A big shout out to our volunteers, some of which came from around the state to help out. Boom Town led the way in the form of volunteers: checking people in, providing medical assistance, announcing, being non skating officials, on skates officials, merchandisers, and managing the day to day running of the venue. Thank you so much to everyone for making this tournament the best the state has seen so far! Congratulations to the Sitka Sound Slayers, winners of the United We Roll Tournament and current holders of the coveted Pink Skate trophy! In a nail-biting game, Boom Town wins against the Orange Crush, 160 to 144! If you missed it, you really missed an amazing game. Congratulations to Bayou Babydoll and DK Dynomite on getting MVP Jammer and MVP Blocker! Welcome back to #360, Revolution Riot! First Bout at Home is a Win! 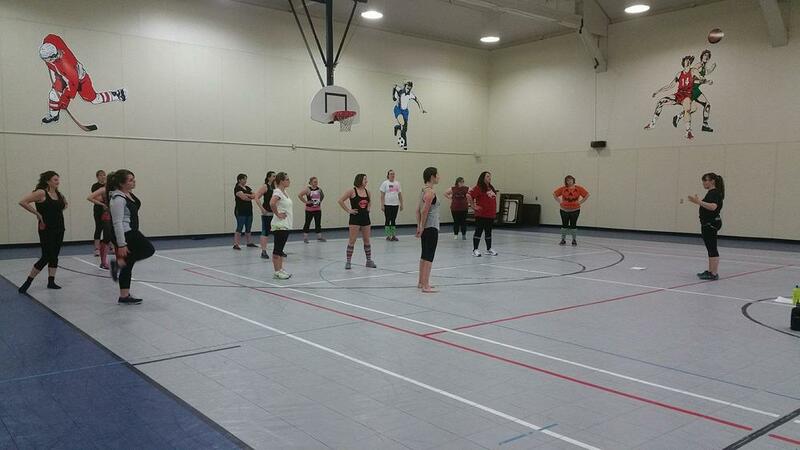 The Fairbanks Rollergirls came to Wasilla to play our Boomies and our girls took the win: 230 to 110! Our First Bout is the First Win of the Season! Boom Town played the Rage City Orange Crush in Anchorage on October 17 and won 265 to 77. The scoreboard was deceptive on how engaging the game play was. Our next game is at home at the Menard Center in Wasilla on November 14 against Fairbanks. See you there! 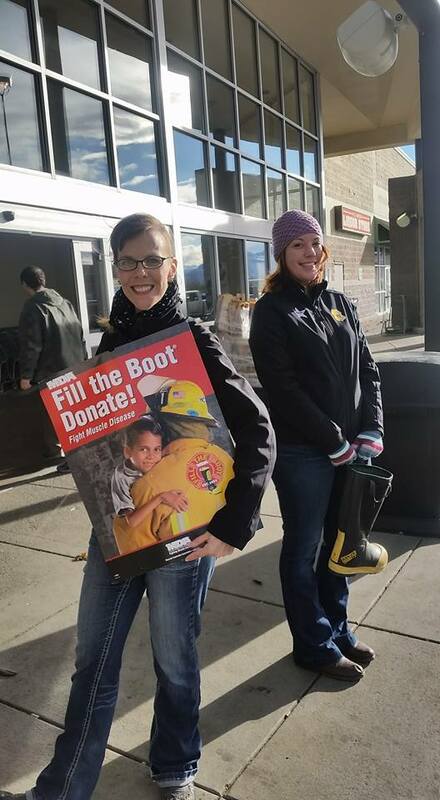 Thank you to everyone that donated and helped with MDA of Alaska to Fill the Boot! Kandi Koated and Assault and Pepper brace themselves against the autumn wind at the Wasilla Fred Meyers to help raise Money for MDA of Alaska. Veteran skaters and freshies work together to Fill the Boot! (From the left and clockwise) Elysha, Devin, Darth Jaider, Dynamo and BattleJax. Welcome to our new skating class of 2015-2016! Great news, derby fans! 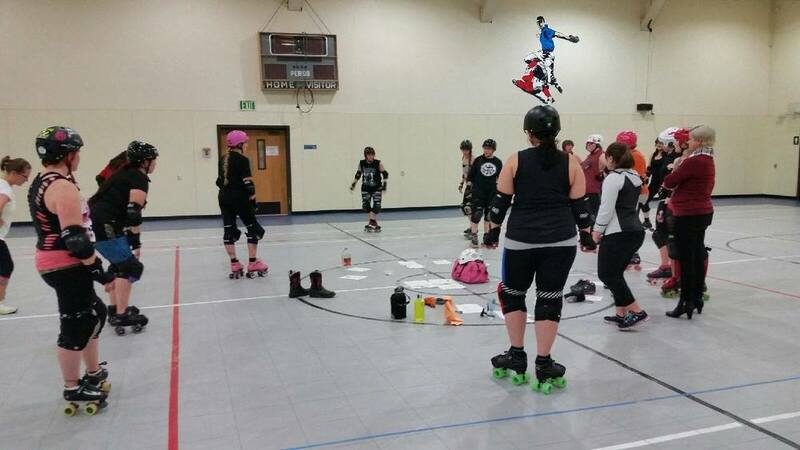 Our newest Fresh Meat class has begun with over 15 skaters strong! Some are veteran skaters, returned from time away, others haven't strapped on skates since middle school birthday parties. We love our baby boomers that are fresh from Junior leagues also. Welcome, fresh meat! Are you following us? Get the latest scoop and all the updates on the action when you follow us on our social media outlets!